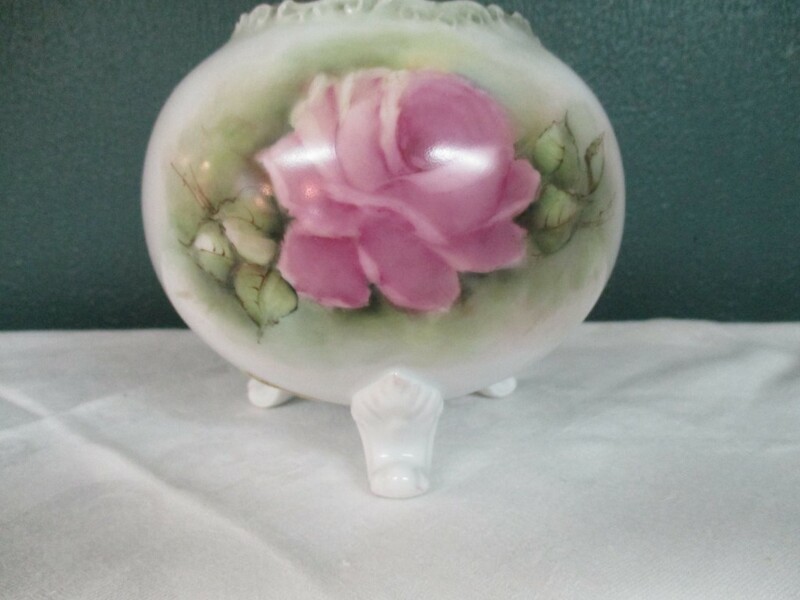 Antique reproduction Rose Bowl with 3 legs, 5 1/2″ tall. 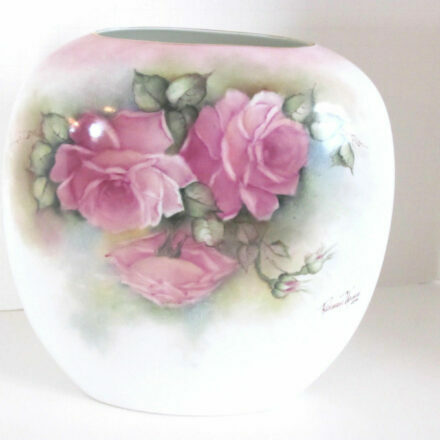 Designed with hand painted tea roses in different rose tones and back side also has a rose design. 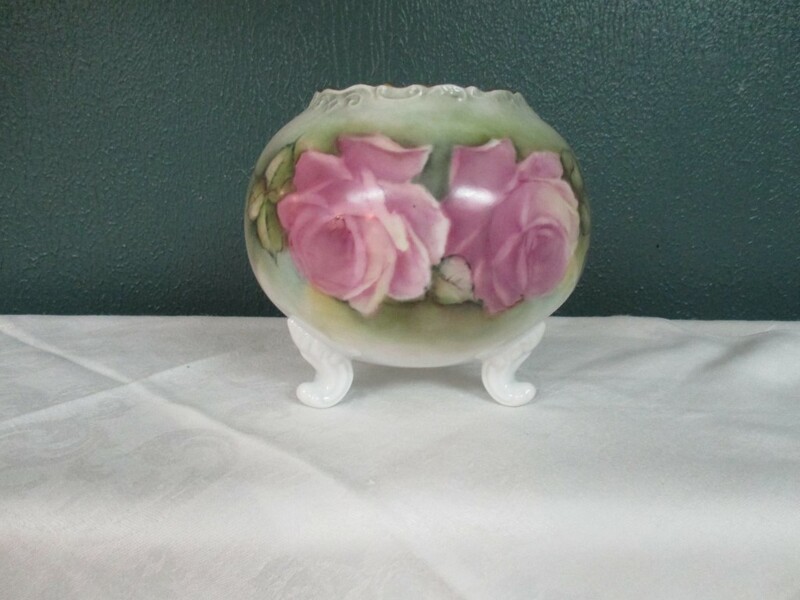 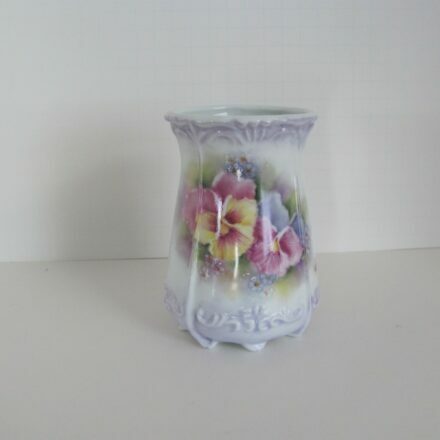 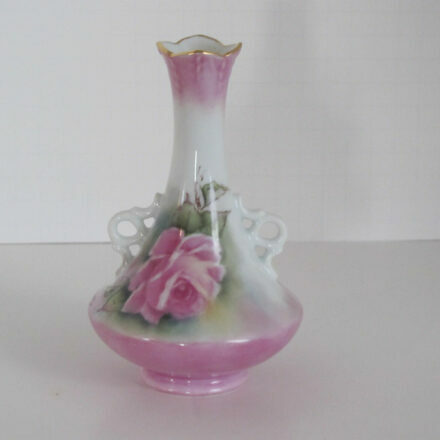 Beautiful for Victorian or Traditional decor, a real show piece.